Available for download at pixeden.com, here comes a free PSD of a Vector iPhone 5S Mockup. The file is easy and fully editable with smart objects. Pixeden creates free and premium graphic design materials and web resources. They thrive on bringing you the best of the best in each of their beautifully crafted resources. 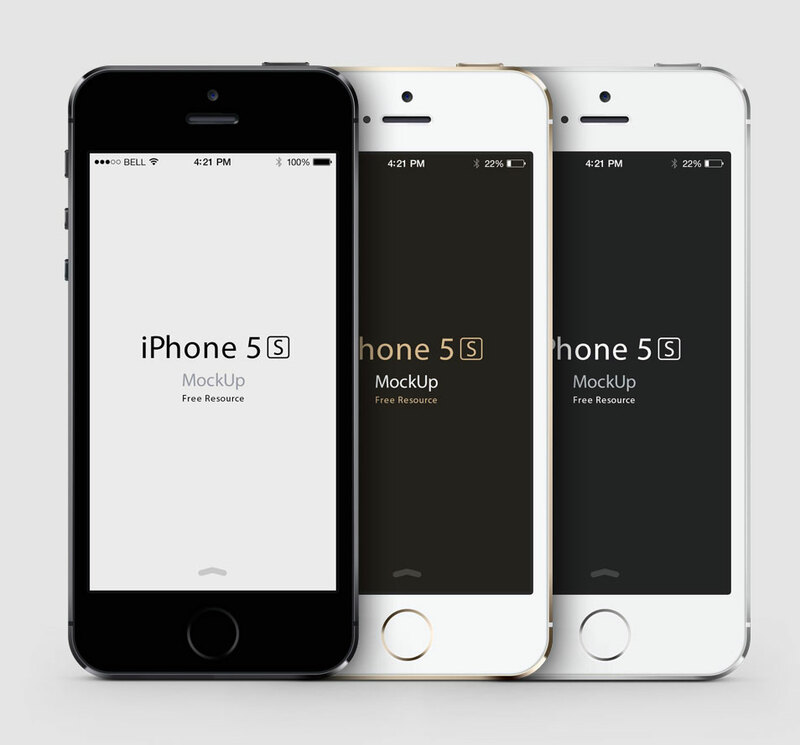 Moreover, this Vector iPhone 5S Mockup template is a fully-scalable vector-shaped PSD. The creators have created a very detailed front view of the black, white and gold iPhone 5S. Plus, it has smart layers to showcase your web or iOS applications. Finally, in the link, you will find the download tab and the full preview of the mockup. You can also check out other related projects and freebies. We hope you find this mockup useful in your current and future tasks! Share, download and have fun designing!